Rent vs. Buy: Not a Home, A Dog! 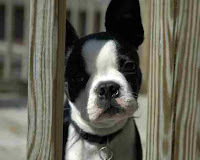 I found this at ProductDose: FlexPetz Dog Rentals! For these reasons and many others, I've just never thought about having a pet. But sometimes I find myself kind of wanting one anyway. Animals are fun, and walking a dog is a one of the main sources of social interaction in this city! If I was trying to get dates, I would totally want a cute dog as a prop. But the rest of the time, I just don't want to deal with all the hassles of pet ownership! So would FlexPetz Dog Rentals be the answer? Basically, it's like a doggie version of ZipCar: you pay a membership fee, and then a fee for the time you actually spend "using" a dog. There is an annual "maintenance fee" of $99.95, plus a membership fee of $39.95 a month. Then when you borrow a dog, it's $29.95 for a weekend day and $19.95 for a weekday. If you keep the dog for multiple days, additional weekdays are $12.95. If I borrowed a dog for the entire month of May, it would cost me $697.83 including the full annual maintenance fee. So if you really want to spend a lot of time with a dog, this is not the way to go. But if you just wanted to spend every weekend for a year with a dog, by my calculations, your cost would be about $3,700-- quite a bit less than the $4,800 it would cost you to own a dog. Right now, dogs are only available in Los Angeles and San Diego. (Why does it not surprise me that such a thing would be born in LA?) But they're planning to open in Manhattan in June, and other locations in the future-- and if you're a member, you can borrow a dog in any location while travelling. Some animal shelters have fostering options so people can look after the dogs for a while when the shelter is too crowded or an animal needs special attention. You just need to pay for the food. But I guess you'd need to be home a lot for it to work. Do those prices include fuel? Oops, I mean food. Being from Seattle (and not being a huge animal fan) this is probably the strangest thing I've heard in a long time. Paying to rent a dog seems kind of bizarre. I guess from a business standpoint, it is interesting. I bet that people start getting attached to the dog and then can't get enough of it. I'm sure there are probably people out there that get "hooked" on renting the dog and spend lots of money getting as much face time with the dog as possible. Our humane society lets people foster animals when the shelter gets too crowded. There are a lot of qualifications to fostering, but it could be beneficial for someone who doesn't want a pet full time. Also, I don't think I've EVER spent $400/month on our dog. Even when she went to the emergency clinic during the night with stomach problems, the bill was $300. Add her monthly food ($25) and meds ($5) and she's still under $400 for that month. She did once tear up some upholstery in my car, but that was only $200. Her average monthly cost is probably around $80, including food, vet bills, and "incidentals". I should add that the savvy pooch is a rescue and she's 11-12 years old. you sound like you have a big heart. It would be great if more people fostered and/or adopted animals from rescue groups. You are truly a good human being. Bless you and your generosity. Why not offer to walk/babysit other people's dogs? That way you get to borrow a pet and GET PAID for it! Just found your site and read over some of your rules. The fact that you have rules for your money is awesome. We live in a society of rules, so why not make your own rules about your own money. What a sick and unethical thing to do to an animal. They have feelings and should not be rented out like a car. This is so not in the animals best interest. I agree with Alex that this program is unethical for the animals involved. Dogs especially are social beings and they have tendency to act out when they are separated from their owners. I can see a dog getting extremely stressed by the constant moves and dealing with new people and snapping at someone out of the stress, only to be put down due to his violent action. This is awful! $400 a month to own a dog? No reasonable way. I live in an apartment in a big city with a dog and I couldn't spend that much on him if I tried. He has special medical needs, too! Pet rentals as a business is an inherently sick idea. I agree with Alex. I love dogs (and cats and basically anything furry!) but now live in an apartment and no pets are allowed ... used to live in a house with a big backyard but was hardly ever home (one of the reasons I moved) and knew there was no way I could give an animal the love and attention they need (and deserve). but renting?? Does anyone think how the dogs feel?